The Ring of Kerry has been an iconic driving and riding route for over a century, in fact it has become almost a bucket list ride. And there’s a reason for this – it’s always stunning! 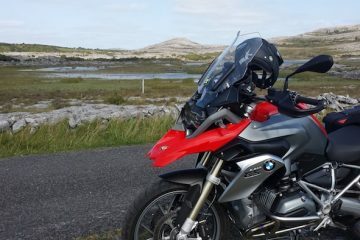 So to give you a glimpse into what to expect, we got Tiernan Clarke from motorcycle tour company LemonRock Bike Tours to take us through the route of one of Ireland’s greatest rides. Here’s what you can expect. 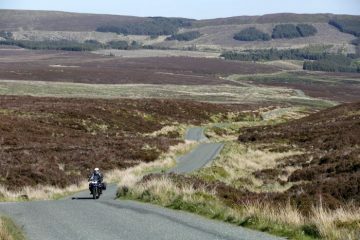 Being lucky enough to live on the Ring myself, I’ve ridden it countless times, on everything from our fleet of rental BMW’s to a Harley, a Moto Guzzi, sports bikes and even a charity run on a 1978 Honda CD175. I never tire of it, as every trip throws up different vistas and experiences. At 112 miles (180km) it might sound short, but it’s so full of scenic views you need to allow plenty of time (at least five hours, especially if you want to stop for a leisurely lunch) to allow for stops and photo opportunities. 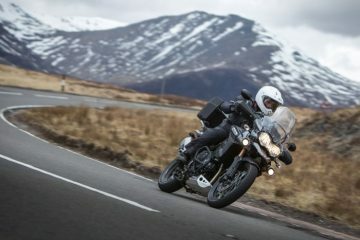 Road surfaces are generally very good, having improved greatly over the last few years, presenting a really engaging and smile inducing ride. 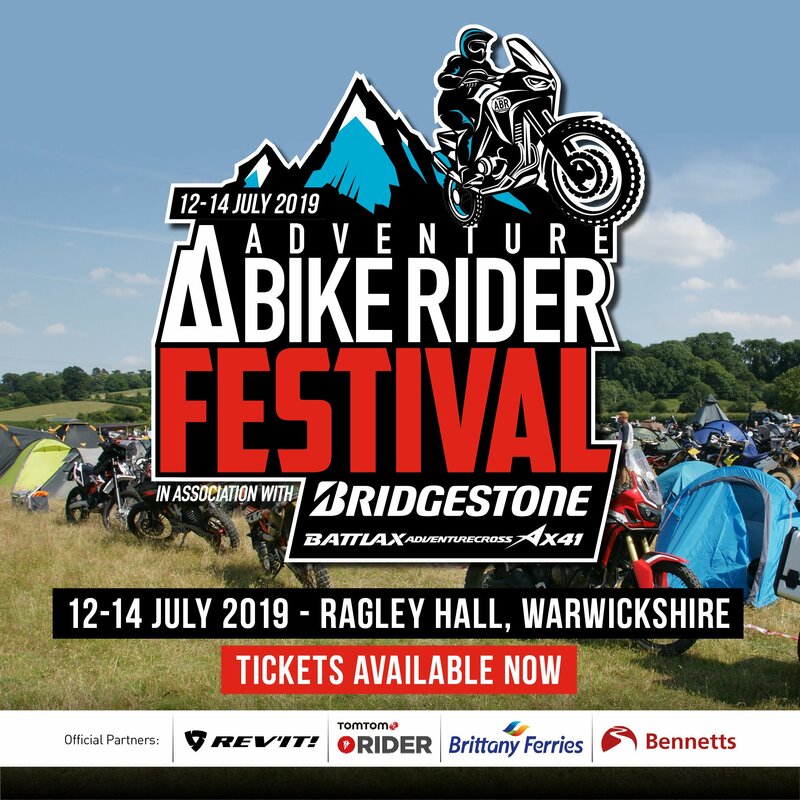 It’s not exactly a knee-down route, as to do so you’ll miss the views and be in danger of coming up close and personal with the occasional wandering sheep or a local farmer herding cattle from field to field. Drivers traditionally travel the Ring in an anti-clockwise direction. I’m sure there’s a reason for this but I’ve never figured it out! In fact, I always recommend that bikers ride it in a clockwise direction. That way you’re far less likely to get stuck behind holiday traffic and, as you are on the left hand side of the road, it’s much easier to pull over for photo opportunities as the most spectacular ocean views are also on the left. 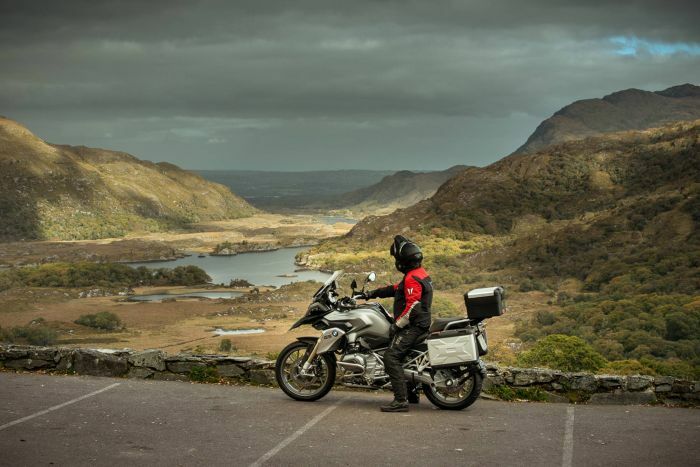 Most people start their journey in Killarney, so going clockwise it starts with a relaxed ride along the Muckross Road, bordered by forest with tantalising glimpses through the trees of the Lakes of Killarney and Killarney National Park. Next up is the spectacular Ladies View, offering an elevated view of the lakes below. 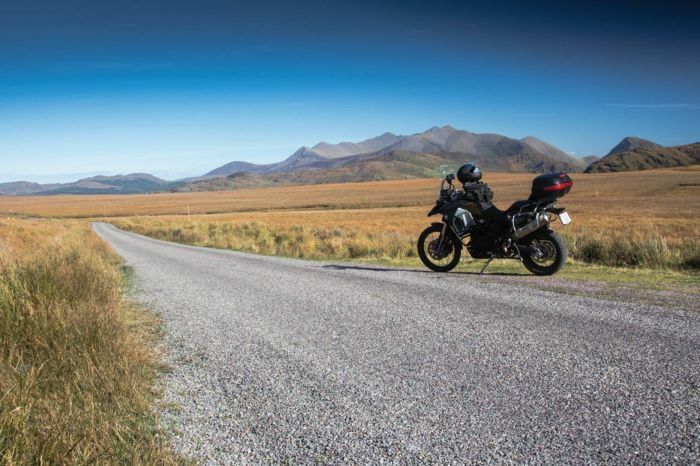 The famous Moll’s Gap follows soon after and here you’ll need to decide if you want to turn left to take in the bustling town of Kenmare, or right bringing you directly to the quaint village of Sneem on a sinuous and picturesque mountain road. If you choose the latter (which I usually do) you’ll come to The Strawberry Field café where you can stop and indulge in a coffee or sample one of their delicious crepes. A few miles after Sneem the spectacular coastal views start to appear. You’ll be thoroughly transfixed by the scenery where the Atlantic meets the coast and as you progress you’ll come across a fantastic beach bar at O’Carrolls Cove. This place is far more than a bar and their food is of an unexpectedly high standard – highly recommended. The spectacular sea views and great biking curves continue all the way to the seaside village of Waterville, once the regular holiday retreat of Charlie Chaplin, and there is even a lifelike statue of him on the seafront. Sea Lodge Hotel on the seafront is also a great stop for lunch or a coffee. Now, this is where a little local knowledge comes in… Just after Waterville you’ll cross a bridge over the River Inny and shortly after this you’ll see a sign to the left for the Skellig Ring. If you take this turn you’ll be rewarded with a very special detour that the vast majority of visitors never see. With sea to your left again, this road brings you to Ballinskelligs. After you pass the post office and pub, take a turn into the car park at Ballinskelligs beach to see the (very) old McCarthy’s castle on the beach. A sharp left turn as you exit the carpark will bring you to the pretty Ballinskelligs pier, a working pier for local fishermen and leisure craft alike. Continue left again at the beach junction and follow the Skellig Ring signs until you are met by one of the most exhilarating views on the west coast – the magnificent Skellig Rocks and their smaller neighbour, the Lemon Rock, where we got our name. 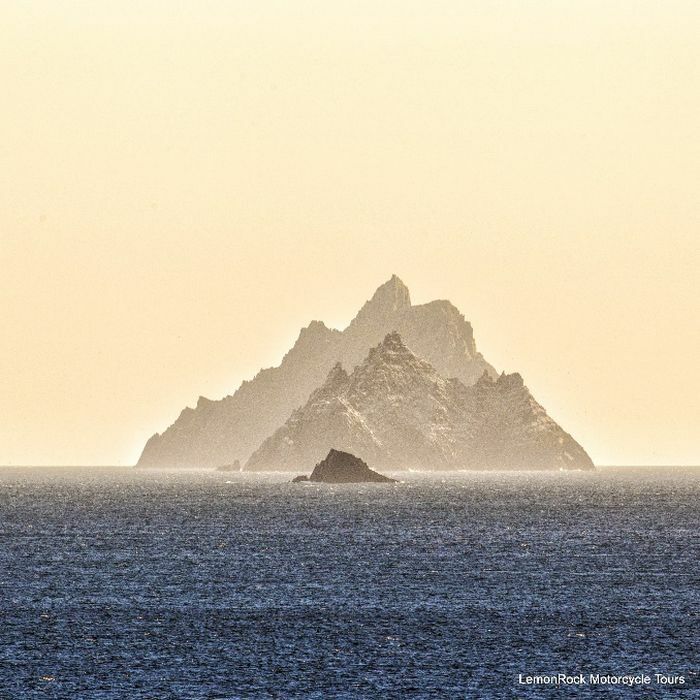 The largest of the Skelligs, Skellig Michael, is a UNESCO World Heritage Site and, if that wasn’t enough, it features as a location in the latest Star Wars movie, The Force Awakens. From here, there is a fabulous switchback climb up Coomanaspic Mountain and a visually breathtaking ride down the other side into the fishing village of Portmagee, recently voted Ireland’s best tourist town. Leaving Portmagee, a left turn will bring you across the bridge onto Valentia Island and a nice seven mile run will bring you to the village of Knightstown, the island’s ‘capital’ from where you catch a short ferry hop back to the mainland and the main Ring of Kerry road through the town of Cahersiveen. 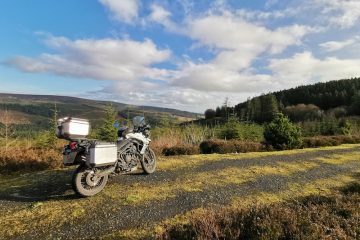 If you’re feeling adventurous and fancy leaving the coast for a bit of spectacular mountain riding, you can take a turn to the right after Cahersiveen and take in the stunning Ballaghisheen Pass, a wonderful mountain pass bringing you down through a true wilderness valley and on to Killorglin. If, however, you want to stick to the main road you can give your bike its legs by skirting Dingle Bay which offers wonderful views of the bay and the Blasket Islands. A nice run follows to the town of Killorglin, famous for its Puck Fair held in August. It’s then an easy twenty minute ride back to Killarney where you can sample the craic and atmosphere of Ireland’s premier tourist town. I know it’s a cliché, but I guarantee that you’ll be grinning from ear to ear when you get back to Killarney – the same grin we see on all our customers when they’ve come back from a spin around the ring. 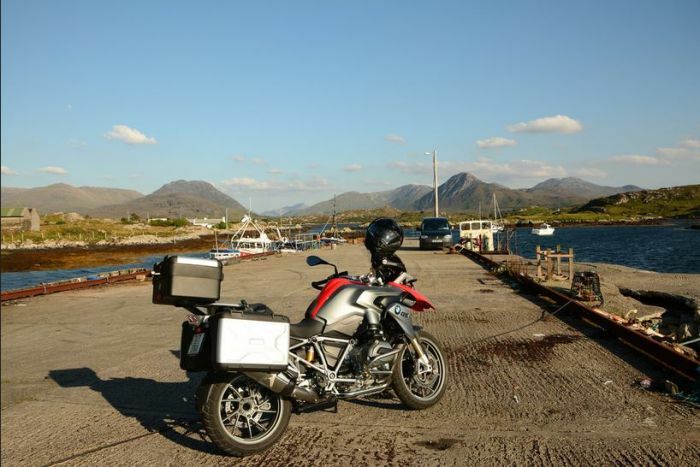 LemonRock Bike Tours are a motorcycle rental and tour company based on the Ring of Kerry near Killarney, Ireland. 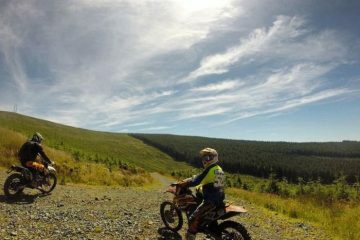 They offer a range of premium guided tours and rentals giving riders an unforgettable experience of the brilliant Wild Atlantic Way. To find out more click here.